TGIF! The end of this week couldn’t come faster! Especially after today! There was so much going on at work and I decided to cram in a Target run on my lunch break.When I came back to my car, I found a monster pickup truck parked in the spot next to me and my spot, he was way past the line and rear of the truck was actually blocking my little car. I had some very vial thoughts of retaliation from fantasizing about raking my keys down one side and up the other to seriously considering leaving a note. But I was running out of time and after a stressful back up job clearing the truck by a quarter of an inch, I was on my way back to work. What would you have done? Anyway, I have to leave for work at 7 AM, which is brutally early to me and doesn’t leave much time for my stomach to wake up. I usually have a fast smoothie for breakfast packed with plant-based protein powder, greens, a carrot or two, and fruit. Lately that’s left me feeling a little bloated while running out the door, so I’ve been taking the smoothie with me to sip on the drive and while I go through emails trying to plan my day. And usually in a Klean Kanteen bottle. 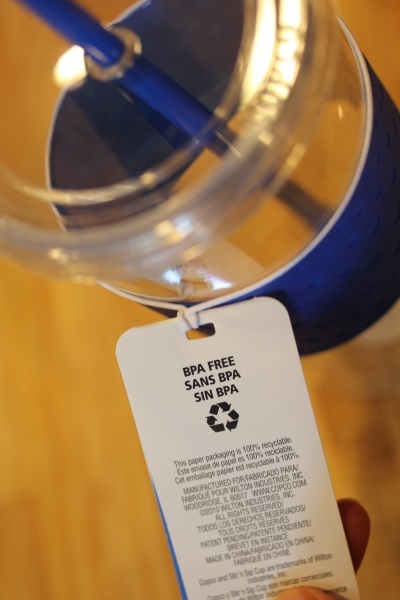 However, they can be hard to clean and drink from without getting a smoothie ‘stache – not good at work! 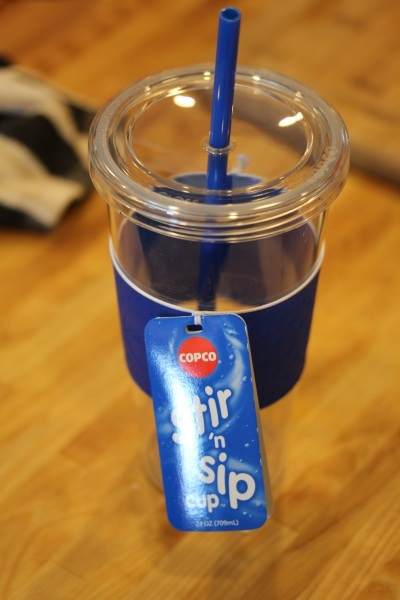 So I ordered a Copco Sierrna 24-Ounce Tumbler to try with a straw and a size that works better in car cup holders. Easy decision with the price tag under $6 and a capacity large enough to hold my monster smoothies, the 16-ounce cups just won’t cut it. I loaded it this morning with a smoothie packing rice protein, frozen watermelon chunks, sprouted lentils, red cabbage and VitaMineral Green. After such a hellish week, hubby and I stepped out for a nice dinner and it was nice not having to mess up the kitchen! 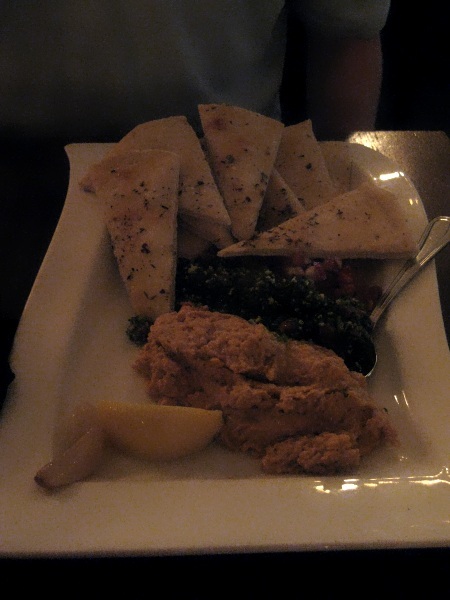 We started the meal out with wine and a hummus flat bread appetizer. Sorry for the pics, my little point-and-shoot does not do well in mood lighting! 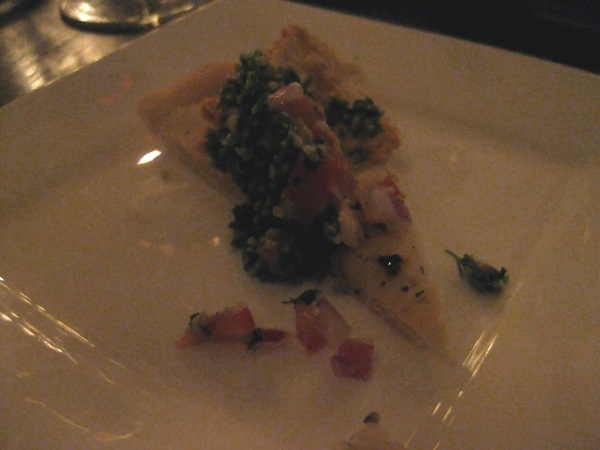 Tomatos, tabbouleh, and spicy hummus on flat bread – yum! Then I ordered a veganized veggie pizza holding the cheese and am becoming a fan of ordering pizza this way because it’s still tasty with freshly seasoned sauces and roasted veggies, but not as heavy being sans cheese. 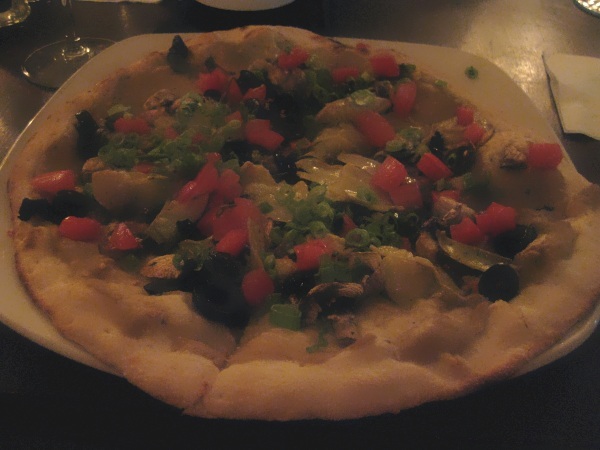 This one had eggplant puree with artichoke hearts, green onions, tomatoes, olives, and mushrooms – excellent! And it’s time to announce the winner from my tempeh giveaway! And the winner is …. 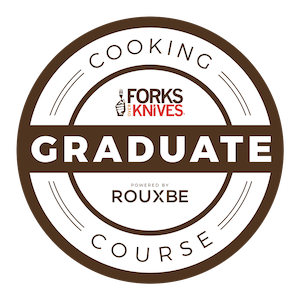 Congrats, hope you have a blast with the tempeh! Ok that bottle has my name all over it! I hate putting anything but water in my KK bottles b/c it’s too hard to clean for me. And most go-cups are not big enough that I’ve tried and also, a straw is key. 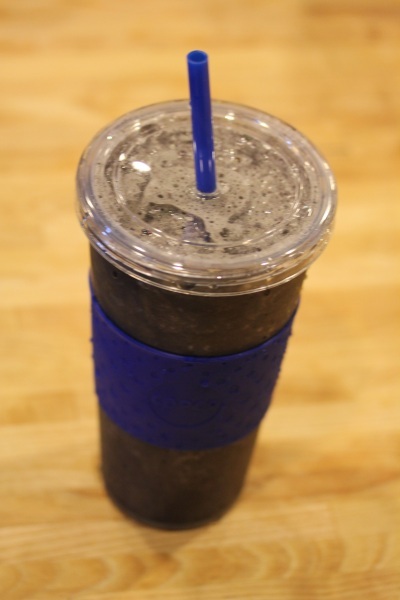 For me it’s about a massive ice coffee (and I fill the cup with ice FIRST, then add the coffee and the cubes take up so much volume that most cups are wayyyyy too small) or no straw…love this cup and review you shared! True on the KK bottles, I have a SIGG cleaning brush that works, it’s just time-consuming. Agreed on more bottles being too small. I like that go-cup! My Vita-Mix came with a stainless steel go-cup that actually fits in my holder in my car…whew! Ahh– I have a cup like that! Got it for Christmas, and I seriously use it EVERY DAY. I love it! I have two cups like that and I loveeee how portable they are! Hi Christine! I have that same cup and I’ve used if for 4 months now and I use it every day. The best part is that it’s great for iced coffees I make at home or for a huge smoothie. You will love it! Sorry things at work have been sucky – that is no fun!